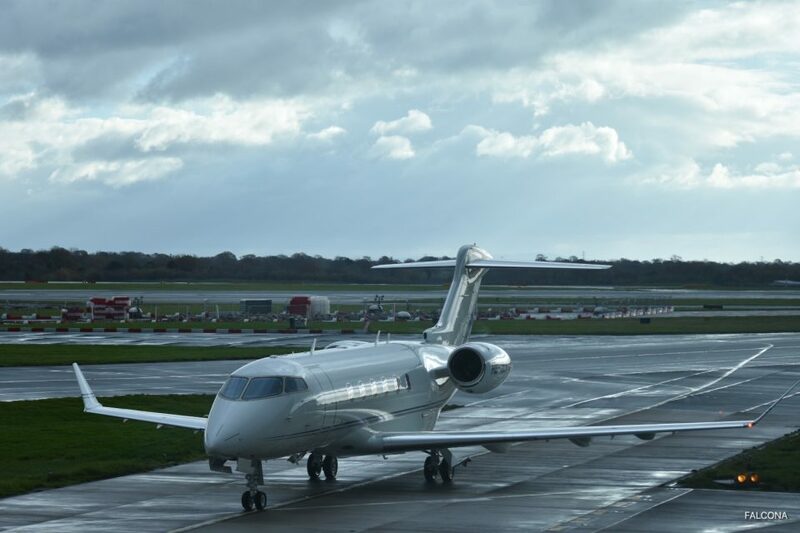 Charter the Challenger 350 with Falcona for your next business or family trip. 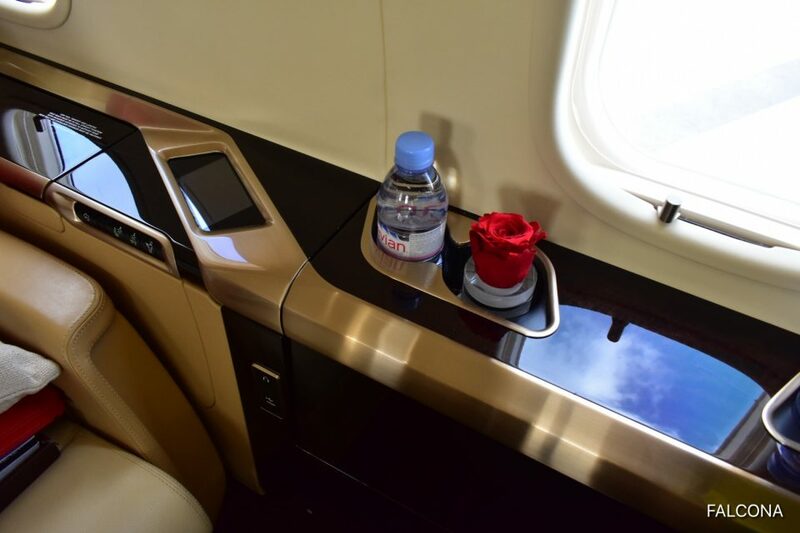 It’s an extremely popular super mid-size aircraft, with a stand up cabin and a host of onboard amenities, making it a favourite with many of our passengers. 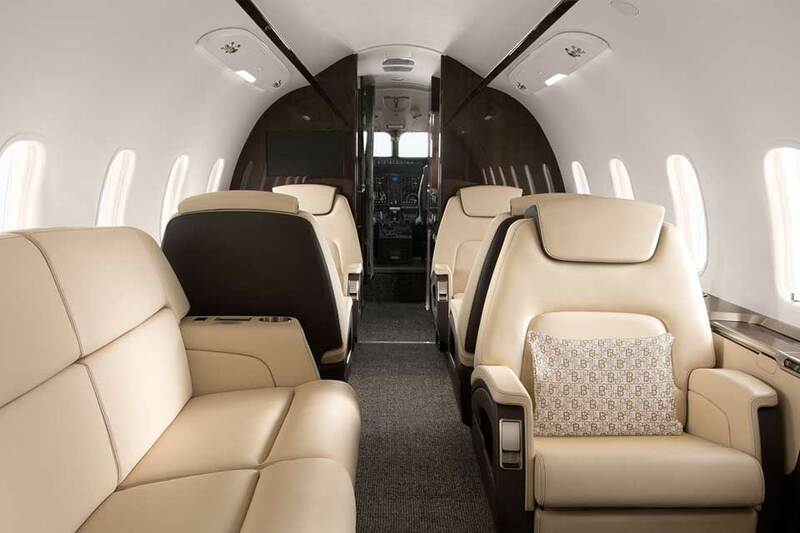 Standard configuration is a double club configuration, seating 8 passengers. However variants such as a club four seating area, aft of which is a three place divan opposite two club seats. Each seats is an optimised environment with a HD cabin management system and in-flight entertainment system controls under a touch screen electronic display. A scroll wheel is used to select your function and then pushed to activate that selection. 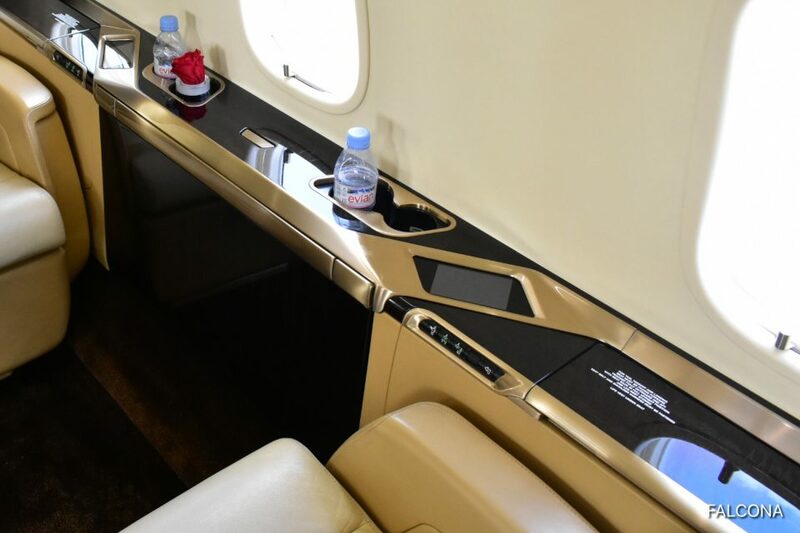 Attention to detail is paramount on the Challenger 350 even down do how the table unfolds. It tilts outward with the push of a button, then pushing. A wood veneer side ledge lid opens to reveal power outlets and USB slots. The 350 has larger windows at each position allowing more natural sunlight into the cabin. Seats are berthable and the divan plus the six club seats can be converted into three beds. Baggage compartment is 106 cu ft, and can be accessed in-flight. The pocket door turns the cabin into a peaceful and quiet place. Fore and aft bulkheads carry 2 inch monitors for playing DRM content during flight, via a UAB drive or the Blu Ray player. 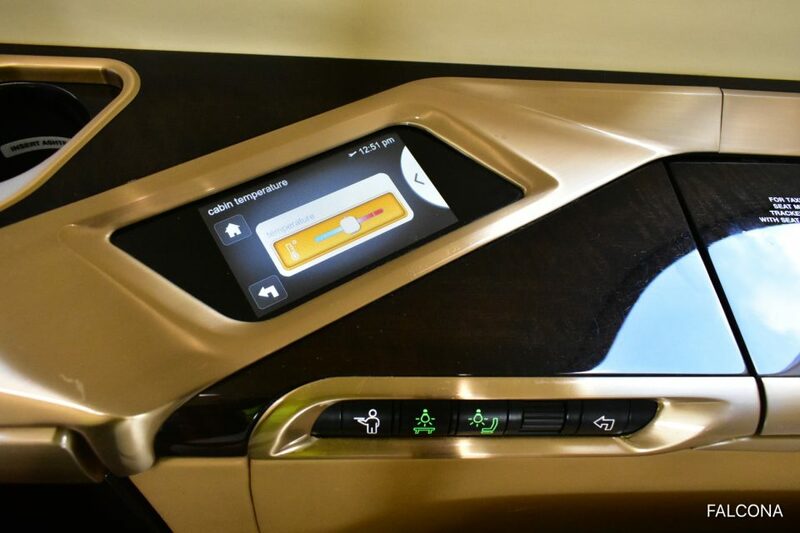 Passengers can connect their own smart devices to the CMS and control the lights and the environment of the cabin. The galley is fully equipped with deep drawer, coffee machine and oven for preparing hot meals. The Challenger 350 has a spacious stand up bathroom complete with a vanity mirror. 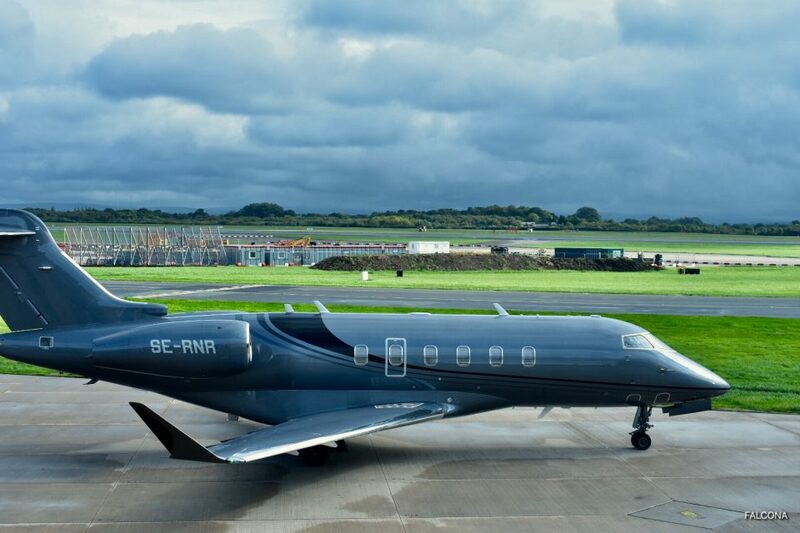 There are a few aircraft in the super mid-size category that compete with the Challenger 350 including, the Embraer Legacy 500 and the Gulfstream G280.